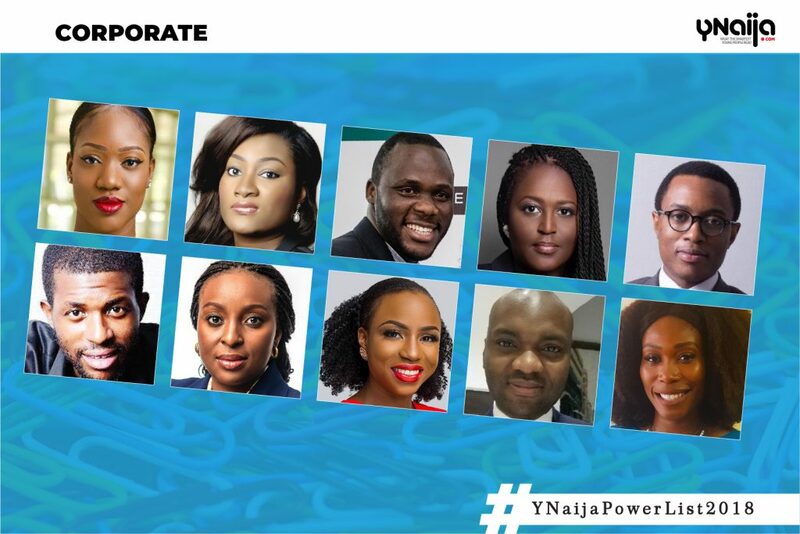 As the annual #YNaijaPowerList enters its 7th consecutive year, we bring you the most influential young Nigerians under 40 who are giving the term white collar job a whole new meaning. From boardrooms to high rise hotel lobbies, business class flights and multi-city stopovers, these guys and gals operate at the highest levels. Until August this year, Adaku Ufere-Awoonor was the energy practice leader at Centurion Law group, an international firm with offices across Equatorial Guinea, Ghana and South Africa. Presently, she is CEO of DAX Consult, a consulting firm with offices in Nigeria, Ghana and Liberia. DAX Consult provides legal, business advisory and independent consulting services to local and foreign companies, international development organisations and governments. Ufere-Awoonor heads a team that works in oil and gas, power, mining, local content, regulatory compliance, capacity building and corporate governance. A Professional Economist with a focus on fixed income analysis especially on sub-Saharan Africa, Chinwe Egwim works at FBNQuest Merchant Bank (a subsidiary of FBN Holdings) as a macroeconomist. She has published over 150 economic notes and co-authored multiple macroeconomic and fixed income reports. Egwim has worked in the World Bank’s Systematic Country Diagnostic Consultative Committee and is a member of the Africa Development Bank annual meetings. She sits as a member of the faculty of Economics at the Nigeria Economic Summit Group (NESG). Fagade started his career as a management trainee and has risen through the ranks to become a senior brand manager, Heineken, one of Nigerian Breweries’ most visible brands. As far as Heineken is concerned, Fagade is involved in every aspect, from brand strategies, to communication, activation and sales. He has an MBA from the London School of Business and Finance. He won Brand Manager of the Year at the 2017 Advertisers Association of Nigeria (ADVAN) Awards for Marketing Excellence (West Africa). A trained lawyer and alumnus of the University of Jos, Makama is the government affairs director for emerging markets (Nigeria and Ghana) at Microsoft. She facilitates and manages the company’s relationships with key stakeholders including government, regulatory bodies, legislature, trade associations, international organisations and academia. Makama’s interests lie in technology and artificial intelligence and their roles in society, cross-border data flow, data protection, privacy and creating policy roadmaps for emerging markets. With a first degree from Babcock University, O’tega Ogra has had stints working in corporate communications at Wema Bank and GTB. His present perch is at the BUA Group where he serves as the group head, corporate communications, responsible for charting and driving a corporate communications and brand management strategy for the Group and its subsidiaries. Ogra’s responsibilities include internal communications, brand strategy and advertising; product marketing, media and public relations, events, sponsorship and corporate social responsibility. The mind behind some of the most interesting – and viral – ad campaigns this side of the world, Chris Ogunlowo surprised only a few persons when he joined SO& U as creative director, a move that effectively placed him in charge of team Globacom’s entire creative output, from conception to execution. Prior to landing the Globacom gig, Ogunlowo has done copywriting and creative strategy for brands such as Virgin Atlantic, Coca-Cola, Microsoft and MTN. He is the founder, creative director & Principal Partner of Kwirkly and has worked with DDB Lagos and 141 Worldwide. Owen Omogiafo is Executive Director, Corporate Services at Transnational Corporation of Nigeria Plc (Transcorp). Prior to joining Transcorp in July 2018, Owen was the Chief Operating Officer at the Tony Elumelu Foundation, where she oversaw the $100m Programme aimed at identifying, mentoring and funding 10,000 entrepreneurs over 10 years. She has also been the Director of Resources at Heirs Holdings, a family-owned investment company chaired by Tony Elumelu. Owen’s past experience include working at the United Bank for Africa Plc, as HR Advisor to the GMD/CEO and at Accenture as an Organisation and Human Performance Consultant, specialising in Change Management. A Harvard trained executive, Owen is a certified Change Manager (Prosci Institute, USA) and a member of the Chartered Institute of Personnel and Development, UK. She holds a B.Sc. in Sociology and Anthropology from the University of Benin and an M.Sc. in Human Resources from the London School of Economics and Political Science. Owen is a member of the Board of Avon Healthcare, where she sits on the Board Finance, Investment & Risk Committee and Board Audit & Governance, in a Non-Executive capacity. In 2018, she was recognised by The Guardian as one of Nigeria’s 100 most inspirational women. She is happily married with three children. With a First Class in Computer Science from Covenant University, Ota, and a Master’s degree in Business Administration from INSEAD in France where she finished as her class valedictorian, Kemi Onabanjo has made the power move from LM Ericsson to the Sub-Saharan Africa office of McKinsey & Company where she made associate partner in a few short years. Kemi Onabanjo is responsible for delivering on transformation projects across a broad range of clients from public to private sector. Aminu Umar-Sadiq may be young, but his 11 years’ experience in public finance management, investment banking, and private equity speaks of someone who has been around the block. He is the Deputy-Head of the 600 million USD Nigeria Infrastructure Fund at the Nigeria Sovereign Investment Authority (NSIA), where he leads the development, execution, and management of domestic infrastructure investments in motorways, real estate, agriculture, healthcare, and special projects. Umar-Sadiq has worked in Mergers and Acquisitions with Morgan Stanley and principal investing with Denham Capital Management. A professed feminist, Nichole Onome Yembra is doing it for herself and for other women in the workplace. She wears multiple hats as the chief financial, risk and investment officer for Venture Garden Group (VGG) as well as managing Partner at GreenHouse Capital (GHC), the investment arm of VGG. GreenHouse Capital invests in startups with Yembra guiding the formal legal structure of the fund and leading investment into about 14 fin-tech enabled companies looking to transform the education, renewable energy and big data ecosystems.